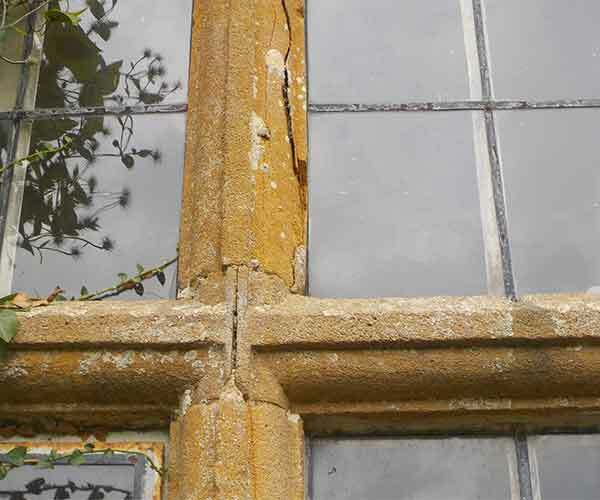 Lime Mortar Repairs & Conservation work is usually completed on listed buildings and requires careful consideration due to the sensitive nature of historic sites, etc. We can work together with Conservation Officers, Architects, Archaeologists and other conservation professionals to ensure that perfect results are achieved. 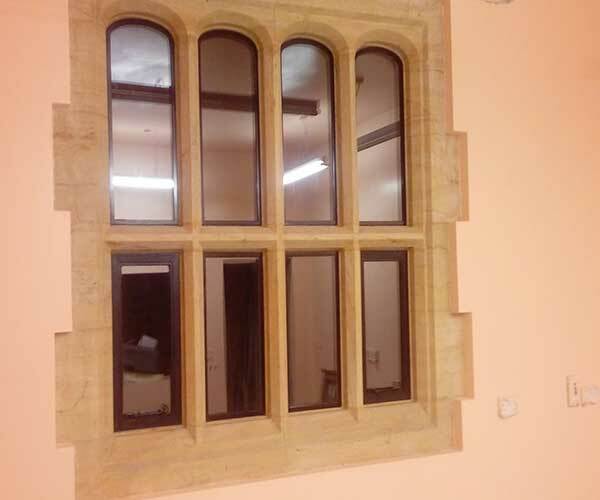 The stonework to the windows is soft natural sandstone which is a sedimentary rock laid down in layers with clay fault lines.The majority of your windows are a Ham-stone, the stonework varies in condition which is due to the stone used, the level of natural faults present, damage caused by expanding corrosion and general weathering down to exposure to the prevailing weather. There are areas of friable stone where the face of the stone has broken away which tend to be down to weathering including freeze and thaw of moisture under the surface. There are quite severe splits in some stonework which is down to the clay faults laminating the stone and breaking away. Much of the pointing is in a cement based mortar which is much harder that the stone and when if moves and breaks free takes stone with it. Lime mortar today is primarily used in the conservation of buildings originally built using lime mortar, but may be used as an alternative to ordinary portland cement. It is made principally of lime (hydraulic, or non hydraulic), water and an aggregate such as sand. Portland cement has proven to be incompatible with lime mortar because it is harder, less flexible, and impermeable. These qualities lead to premature deterioration of soft, historic bricks so the traditionally, low temperature fired, lime mortars are recommended for use with existing mortar of a similar type or reconstruction of buildings using historically correct methods. In the past, lime mortar tended to be mixed on site with whatever sand was locally available. Since the sand influences the colour of the lime mortar, colours of pointing mortar can vary dramatically from difference counties.Etc Ham Hill-Stone – Bath Stone.